A few years ago I was commissioned by a film company in California to create a musical score for a film inspired by the Hitchcock 1954 film Rear Window, but with a more surrealist, two-sided viewer plot. As filming hadn’t begun, I was given the screenplay and timeline, and asked to make specific music that might fit with the themes in those pages, which also included an overture, intermission, and exit music. I recorded the music at home and in a studio provided by the film company in Silverlake, California, and finished a week before the first draft deadline was to be submitted. Surprisingly, before I even delivered any of the music, I was informed that the entire project was cancelled. Several years later, the score for the film of the same title is finally seeing the light of day. It is available on vinyl in an edition of 300 copies by the Berlin label Humming Conch and the Humming Conch Shop. Hollywood Dream Trip – Would You Like To Know More? When I first met Christoph Heemann, it was during a tour of his in the United States when I happened to be staying at my family’s home, so after being introduced by our mutual friend Nicholas Szczepanik, I drove over to see the show and meet him and another mutual friend, Rick Reed. I wasn’t working, so luckily I was able to stay in the same place as Christoph in San Antonio, which was actually a giant mansion that you’d imagine belonged to Vito Corleone. It was in a rural suburban area of San Antonio, with these rolling desert hills and scratchy dry plants, about 20 different rooms, and a full outdoor speaker system. I had with me a CDR of a 20 minute loop that I had made a few weeks before, and at that time gave it to Christoph as some beginning of source material, though at the time I actually didn’t even have that in mind. In the evening after dark I took a walk through the neighborhood, and much to my surprise the group who were staying at the house by a fire in the backyard decided to play my CDR, at nearly full volume. Under the starry sky, it seemed like the planet was rolling, and the house was going to explode and shoot into the sky. I’m sure that 20 minutes probably woke up the entire neighborhood for miles around. Available on LP from Drag City. Without Retrospect, The Morning is Celer aka Will Long’s snow-covered and glacier-depicting audio shard on Alessandro Tedeschi’s Glacial Movements label, released in December 2012 and available to purchase and stream at Bandcamp. The label is an astute place for Long’s seven synth- and organ-driven Ambient tracks, the front artwork does live up to the selected material. And this time, the concept of selection and singling material out in order to form a cohesive work is much more meaningful than expected, as the album is recorded over the course of two years, from 2009–2011, and in four different locations, crossing borders of seasons, states, countries and oceans. Such a strategy contains certain risks: how can a wintry grace or icy isolation be properly constructed if the material is created in-between different projects and work phases, revisited only arbitrarily without the focus of a definite goal which is eventually called Without Retrospect, The Morning much later? Turns out that this album is – bar one exception – terrifically coherent, concentrated and a true-bred addition to the Glacial Movements catalog. 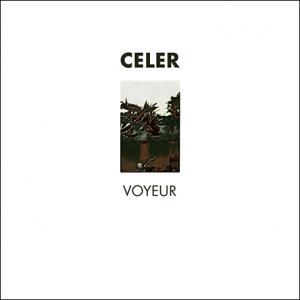 Celer’s impression of winter does match the listener’s expectancy via frosty synth funnels and snow-covered sylvan organ washes, but these are only textures. The timbre, meanwhile, is twofold, comprising yearning undertones and moments of utter loneliness. Without Retrospect, The Morning sparkles nonetheless, as if it wanted to turn around the influence of its droning molecules and stretched vesicles. It therefore offers a great opportunity to be reviewed in-depth as part of my Winter Ambient Review Cycle 2013. And this opportunity turned into reality. Cautious brightness, vestibules to sun-dappled times, a glazed moiré as implied by the softened sine overtones that are equipollent parts of the light blue organ fluxion: Holdings Of Electronic Lifts is a beautiful Ambient vignette of three and a half minutes, eminently bright yet archetypically Celer-like. It contains a distant New Age tonality, but the synths – or processed stringed instruments – are emaciated, purposely desiccate in order to showcase the hibernal tendency depicted in both the front artwork as well as the overall aesthetic topic of the Glacial Movements label. Meanwhile, one of the most interesting synergies is presented in A Small Rush Into Exile in which Will Long presents both a self-imposed forsakenness and the resulting elation that comes with it. Therefore, it so happens that a haunting mélange of eldritch-elasticized icicle complexions (complete with dissonant sinews) clashes with poignantly fragile segues of euphony and contentment. 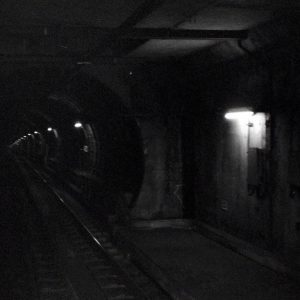 In the end though, this titular small rush is carved out well, unleashing a stern moment of isolation in a dark cavity. Said dark cavity is ostracized in the following composition which turns into a crystal antrum. The title Dry And Disconsolate may hint at a diametrically opposite mood range, but the resulting piece of over ten minutes not only is a glacial and moist one, but also resting peacefully in itself. This tranquil peace, notwithstanding the soothing opening phase, is not a given. Helical polar beams pierce through a wraithlike – and comparably wadded – synth fluxion whose whitewashed, silky gentleness even reduces the recurrent tension and pressure that is spawned by the simultaneity of the undulating layers. Said tension is further augmented by an oscillating low frequency undercurrent which adds an aerose gravitas to the argentine loftiness. Dry And Disconsolate turns out to be one of the fully fleshed out tracks. It is even enthralling, but the stringency of the seemingly incompatible and fighting forces or timbres makes it a paradoxical hybrid of portent awash with light. On Variorum Of Hierophany, Celer fathoms another dichotomy in one of his iciest tracks: a warbled and strongly intrinsic aeriform ice floe towers above an ethereal river of Detroit-compatible luminosity. Fir-green, strangely thermal and therefore unexpectedly warm, its amicability is severely perturbed by the flying sine siren. Both layers are disconnected, yet cross-pollute their respective presence. A Landscape Once Uniformly White follows, a strikingly peaceful track with no antagonistic antipodes or antimatter sewn into its plateau. This is the Drone track of the album, and although Will Long is not particularly fond of this overused genre depiction, this vitreous artifact is certainly droning, but benignantly so. In lieu of incisive sine strings, mellow rivulets and billows are floating through a particularly dark and quiescent backdrop of blackness. A Landscape Once Uniformly White breathes and exhales tranquility and slivers of enigmatic wonders. It lives up to the wintry theme and rewards listeners who turn up the volume; since there is no bass aorta traversing by, the pristine purity of the synth formations can freely expand and emit the microtonal granularity and different shades of the surfaces. What is amiss here is then moulded into Distance And Mortality, a downright pompous arrangement of rubicund strata. Heavily wafting bass protrusions cause a mephitic air, polyhedron beams mercilessly illuminate the scenery with their oppulent incandescence. I am tempted to guess that this piece comes from a completely different recording session. Previously, cacophony and dissonances were easy to digest, as the partaking elements were whimsical, lightweight and frosty, but the sheer strength and power of the organs triples the tension. An almost histrionic addition, with its dimension emphasized via the exclamation mark at the end of this very sentence! The long-form finale With Some Effort, The Sunset pays homage to the album title both grammatically and semantically and ends the album with a wonderfully somnolent, carefully balanced blending of iridescently plinking fractals, silver streams of wondrousness and purity as well as hidden but detectable traces of harmony and glee. While not being joyous per se, this last illuminant enshrines a certain joy in-between the cold coating of ice shards, frost and crushed snow. It could be the case that Without Retrospect, The Morning was never meant to be released in this particular form and with Alessandro Tedeschi’s Glacial Movements label in mind. There are certain hints sewn outside the music-related boundaries. Firstly, and as mentioned in the first paragraph, the recording timeframe spans about two years, from 2009–2011, with all their springs and summers and whatnots. 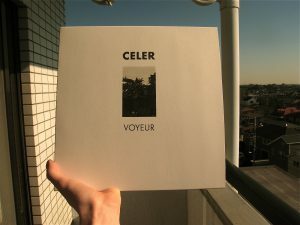 Secondly, the tracks were created in four different locations – California, Mississippi, Alberta, and Tokyo –, with the last of them, as fans of Celer know, being the “interim-final” destination of Will Long’s restless voyages. These biographical and production-related facts neither spoil the album, nor are they detectable in the ambiance itself. Except for the comparably gargantuan Distance And Mortality, every vignette and 10+ minutes piece sports and emanates the same frosty color range and comprises of identical, therefore consistent textures and patterns. Will Long’s knowledge as a curator is as refined as his composing skills, and indeed, both of them are needed on this album… and grant its very existence. Despite the various periods, seasons and cities, the common denominator is the transformation of winter in all its glory into shimmering Ambient music. Cold and situated in sub-zero climes, yet never exclusively crestfallen or dark, Without Retrospect, The Morning is a glitzy work full of prolonged coruscations and a solemnity which exchanges glistening particles or other pointillistic devices for wave-like, serpentine spheres.